AHED is the Adult and Higher Education division of Peter Symonds College. We offer a diverse selection of courses to suit all levels of learners, from introductory courses right through to full honours degrees, providing students with clear progression routes within their chosen subject area. 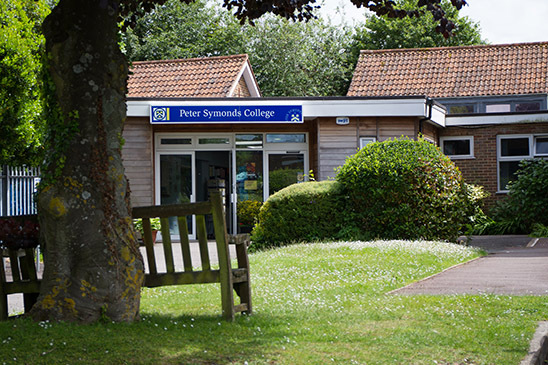 Peter Symonds College is rated Outstanding by Ofsted and our Higher Education programmes are UK Quality Assured by the QAA following our successful review in 2015. In 2018 AHED received a Teaching Excellence Framework Silver Award in celebration of our high quality teaching and excellent student outcomes. We take great care to offer and provide support to all students to ensure that they have every opportunity to successfully achieve their chosen qualification. We have a dedicated Study Support department, who will provide the support required in order to meet your needs. The Student Support Manager and course tutors are also available to provide you with additional help, guidance and advice. AHED staff are all well qualified and many of them continue to be practitioners in their own field of expertise. This means that their skills and experience remain current and they can supplement their teaching with real life examples. Some staff are also engaged in research within their field of professional practice. We are committed to helping each individual student achieve their goals. We are here to acknowledge your aspirations, assist you in your application and celebrate your achievements. We will provide constructive feedback, be available for discussions on your assignments and your progress and identify areas for improvement. The curriculum at AHED has been developed to enable students to progress from introductory courses through to full honours degrees in many subjects. The staff aim to equip all students with the skills and knowledge to enable them to progress to the next level of qualification. Our degree programs are taught on one day a week, allowing students to study for a university degree whilst continuing to earn, even if they do not have the traditional entry criteria. We have a dedicated team to offer Information and Advice to all students on a range of topics for example we are able to assist students in identifying the best way of funding their course.